The news reports tell me Boston has just set a record for snowfall in 30 days, a bit over 61 inches. This is more than we received in the month of the Blizzard of ’78, which all but shut the state down. Boston, and Cambridge next door where I live, does get snow. But we’re also by the ocean, and it tends to keep us a bit warmer than much of the state, so that a fair amount of the snow tends to melt between storms. Not this year. 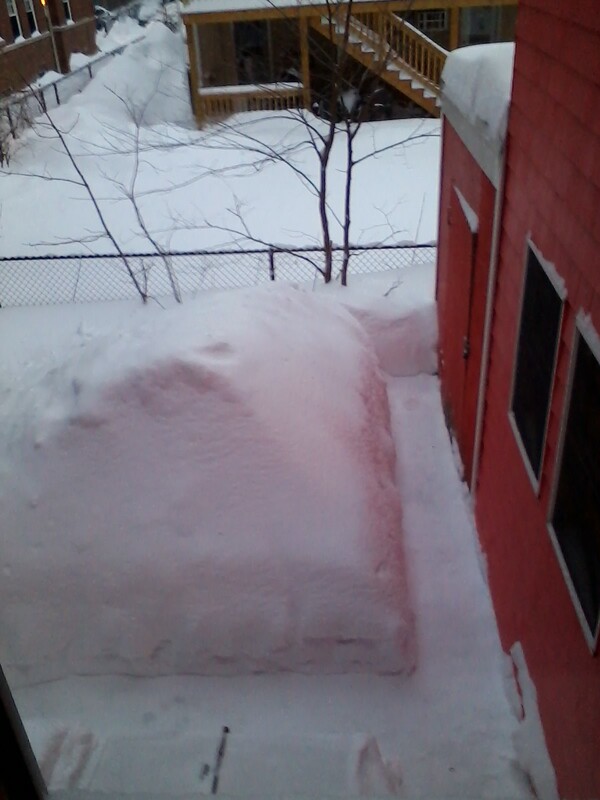 I was shoveling out our back door and shed when I realized that the pile in the back yard is now taller than I am. It looks to be about six feet. This highlights the problem we’re facing in the city. Much of a city’s footprint is roads, sidewalks, houses, and driveways, certainly more than in the suburbs. So we’re running out of places to put the snow. It just get piled higher and higher, which often means broader and broader, too. I think half the on-street parking spaces on our street have been eliminated by snow piles: snow from the street, snow from the sidewalks, snow from clearing out the cars. Cambridge actually has emergency off-street parking for these situations, but I’ll bet it hasn’t faced a situation this bad in decades. Though, let me say, there is one positive side to this. 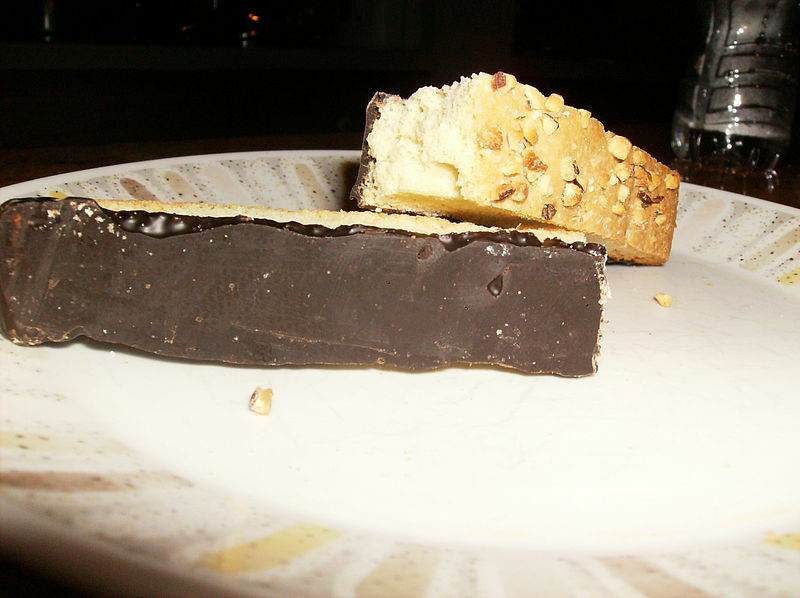 When I go out to shovel, I feel I deserve biscotti with my coffee and tea when I come back. This entry was posted in Uncategorized and tagged biscotti, Boston, Cambridge, New England, snow, snow emergency. Bookmark the permalink. I’ll yield the palm to an 8′ drift. We do seem to be having a particularly difficult winter. And, to make it worse, a cold snap with possible subzero temperatures (Fahrenheit, mind you) is going to turn all these piles into ice. Ouch, nasty. I’m reminded of the scare-mongering prevalent last September of 2015 seeing the start of another Ice Age. Now I am happy to be on the East Coast of England. Start buying the furs now, before they sell out!